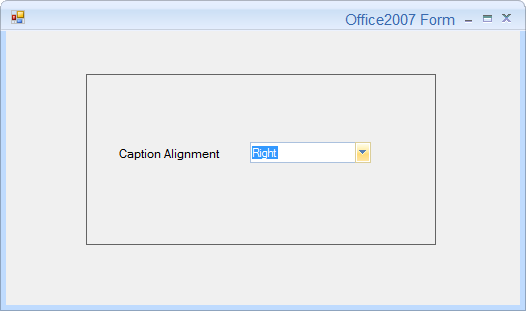 How to customize the Caption alignment in the Office2007Form? 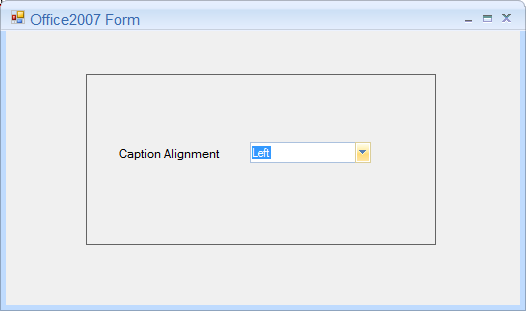 Caption alignment can be specified in the Office2007Form by disabling its property, ApplyAeroTheme. 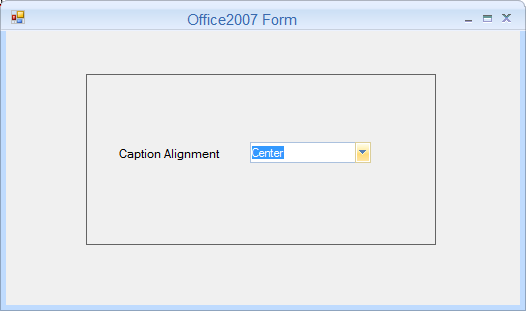 This property enables or disables Aero theme when the Office2007Form is enabled. By disabling the ApplyAeroTheme, the title alignment can be changed by using its property, CaptionAlign. The following code example demonstrates the same.